Today (21st March) is South Africa’s national Human Rights Day. 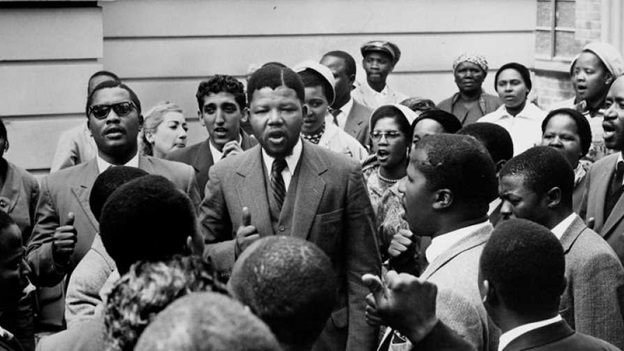 According to the South African government, Human Rights Day in South Africa is historically linked with 21 March 1960, and the events of Sharpeville. On that day 69 people died and 180 were wounded when police fired on a peaceful crowd that had gathered in protest against the Pass laws. It became an iconic date in South Africa’s history that today they commemorate as Human Rights Day as a reminder of their human rights and the cost paid for this. Black South Africans, struggling for human rights against a racist Apartheid system, received great support from around the world. 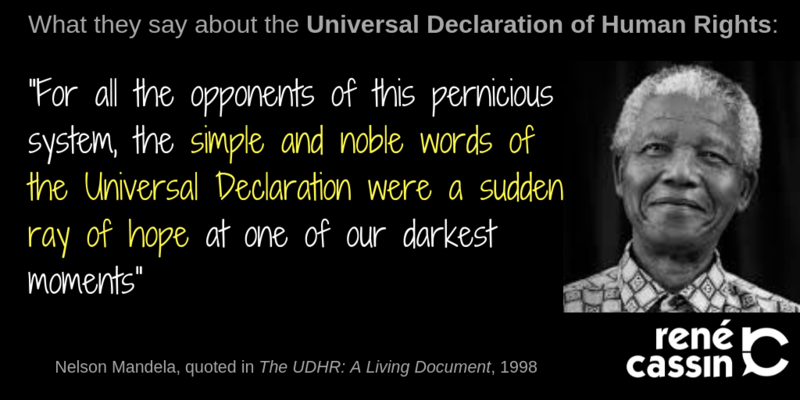 Nelson Mandela wrote movingly of how the Universal Declaration of Human Rights was “a sudden ray of hope at one of our darkest moments”, reassuring millions of South Africans that “… they were not alone, but part of a global movement against racism and colonialism, for human rights and peace and justice”. But what of support from inside South Africa? Josh Alston looks at the role that South African Jews played, and remembers Ruth First’s struggle and sacrifice. 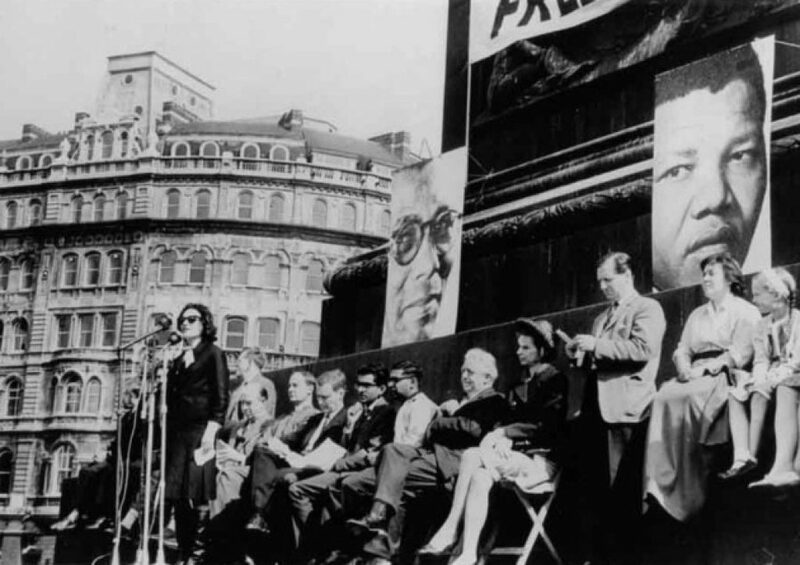 Activist Ruth First and others at an anti-apartheid meeting in Trafalgar Square. During much of the 20th Century it was dangerous to oppose the South African government. The risks could include jail, execution or violence. The Apartheid governments (1948-1994) introduced a system which allocated rights on the basis of race. White people were allowed rights to vote, to assemble, to own land, to use sidewalks and water fountains, to go to the best funded schools and to freedom of movement within the country. Black South Africans were denied all of these human rights. The European-origin Jewish population were left with a stark choice. They could oppose a racist system, and risk losing their freedom and their lives. Or they could make their peace with Apartheid, at the cost of betraying universal Jewish values. Some Jews chose to stay silent, or to keep their opposition quiet, such as Percy Yutar who was prosecutor in the 1963 Rivonia trial which led to the imprisonment of Nelson Mandela, were actively complicit. 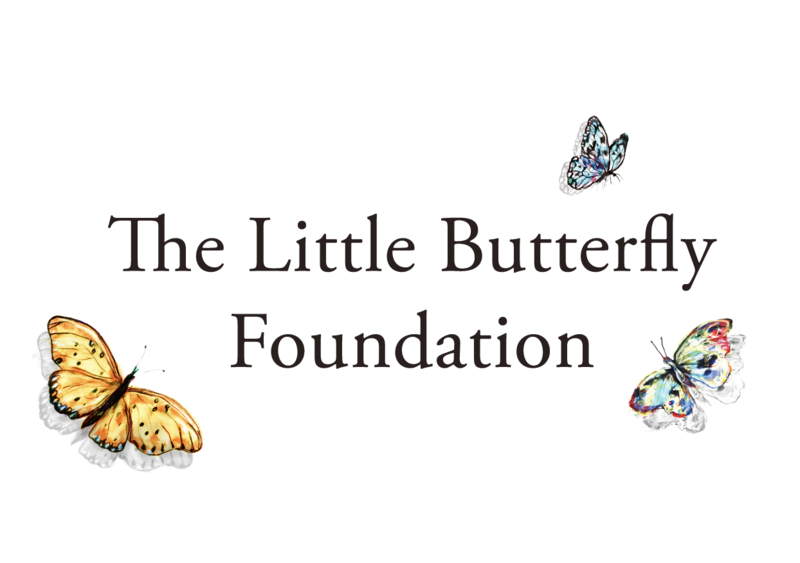 Others, such as Lawyer Joel Joffe CBE, who defended Nelson Mandela in the Rivonia trial, actively fought against the oppressive apartheid system. Most major Jewish organisations, such as the Board of Deputies chose to stay silent, not taking an active political stance until the 1980s. Jews were massively over-represented in the struggle against Apartheid and for human rights and democracy. Some took small actions such as voting for the moderately anti-Apartheid Progressive Party, led by Jewish politician Helen Suzman. This party garnered the majority of Jewish votes at most elections and was consistent in its advocacy of better conditions for political prisoners and Black South Africans, including movement towards a full enfranchisement. They advocated for more human rights from within the system. Jews represented the majority of the white defendants in the treason trials and the Rivonia trials. Jewish human rights defenders risked jail, social and political marginalisation and exile in order to stand up for their values and promote the Jewish value of freedom and tolerance. Ruth First, one of my personal heroes was one of these. Born to Latvian Jewish immigrants in 1906, Ruth First was one of the most well-known and politically influential Jewish opponents of Apartheid. She became politically active at the University of Witwatersrand, and was editor of the Guardian, an anti-Apartheid newspaper which was banned by the government as part of its suppression of dissent. She was arrested as part of a government crackdown as a response to a wave of protests which followed the Sharpeville massacre in 1960, in which 69 protestors died. She was held for 117 days without charge under the detention law, which allowed police discretion to arrest and hold people without trial for a maximum of 90 days. She was released after 90 days and immediately re-arrested. She was the first white woman to be detained under the law. When Helen Suzman offered to advocate for her release but she refused her help on the basis that Black South Africans detained under this law were granted no such parliamentary advocacy. After release she went in to exile in Mozambique, became a lecturer and continued her advocacy against Apartheid. She was assassinated by the South African secret police in 1982. She never wavered in her commitment to justice and human rights for all South Africans, and all people around the world. Josh Alston is a British Liberal Jew currently completing a history masters at Leiden University. Academically, he focuses on the relationships between whiteness, Jewishness and colonisation.